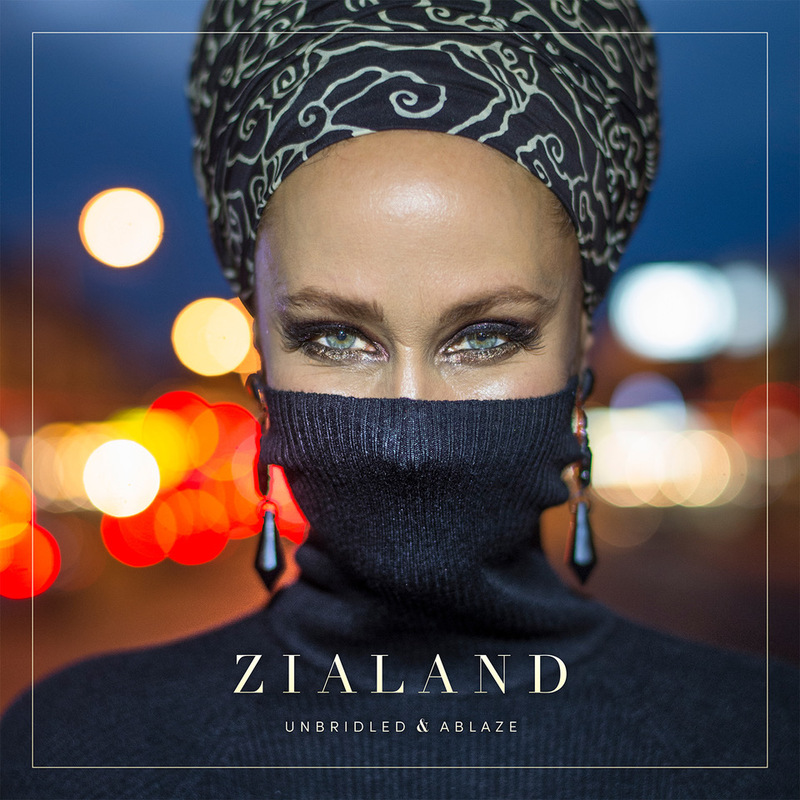 Norwegian singer-songwriter and producer Zialand’s (aka Zia Mayer) new album ‘Unbridled & Ablaze’ is just over thirty minutes of classy cinematic soul pop. It’s full of intimate self reflection. Emotional charged and passionate in equal measure. With it’s high quality production and arrangements and ZIaland’s rich vocals, it is a real joy to listen to. But it will also make you think. She takes you on a journey. Holding you by the hand as you explore her life, with all it’s twists, turns, vulnerability and hardships. Introducing you to people that have made a difference in her life. ZIaland made her way in her early 20’s to live and work in LA to pursue her passion for music. She had a successful career releasing her debut album and having songs placed in indie movies and national TV. However her career as a singer-songwriter stalled in 2002, when she had to leave LA abruptly with her young daughter due to an abusive relationship. She traveled half way around the world before ending up in Australia. A decade later she was finally able to return to Norway and then Zialand released her second album ‘The Light Below’ in 2014. The majority of it was recorded in Australia when she was living in hiding. You get the feeling that the new album is the start of a bright and positive new chapter. With these difficult years behind her, she is now free to create and share her music with the world again. The album opens with the wonderful ‘Thunder’, a song of resilience and hope. It’s closely followed by the tender ballad ‘Come Over’ with it’s rich, beautiful and classy string arrangements. The emotional changed and moving ‘Running Cold’ is another deep and meaningful relationship song. This time it’s about Zialand’s close friend who had a deeply painful relationship with her alcoholic father. Zialand comments ‘that her pain was a complicated tapestry woven over time. Her profound love and need for a father competing against her father always choosing the bottle over her. Her needs were never met and her father’s actions led him to a early death’. The reason for the song Zialand said was ‘to honour her and pour some love onto all the pain by writing her a song, bringing a kind of witnessing and a reckoning to it’. The album closes with the sweeping anthemic pop soul classic ‘Landslide’, one of the album’s lead singles. It’s a very catchy passionate track that has seen a lot of love from mainstream national radio and independent stations. On this track Zialand reminds me vocally of a cross between Natalie Merchant and The Cranberries. ‘Unbridled and Ablaze’ is a reflective and passionate album of personal exploration, relationships, family and dealing with hardship & change. It also marks the start of a bright new chapter. Zialand is finally unshackled and released. Burning brightly as a fast rising musical phoenix soaring majestically in the sky.